The dog licks the healing ointment? Although plastic E-Collars placed on the neck may be able to prevent this, they are an additional source of suffering and stress for animals. 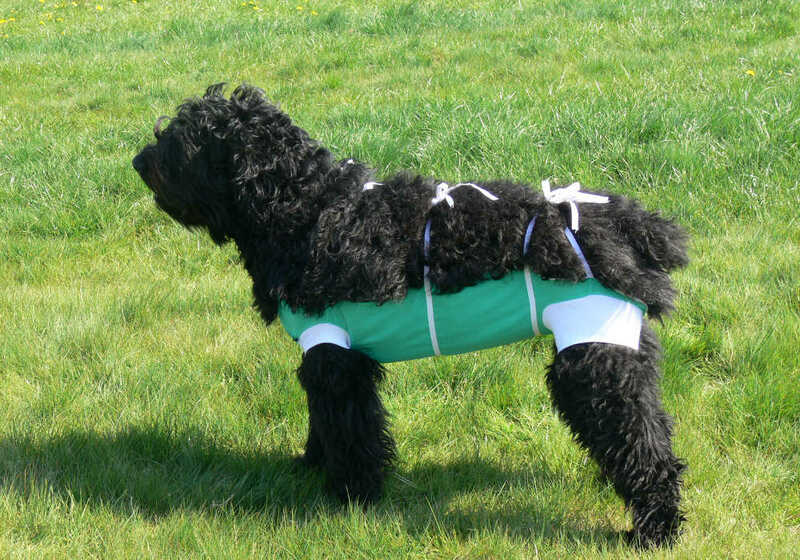 An excellent alternative for this is are post-operative dressings. 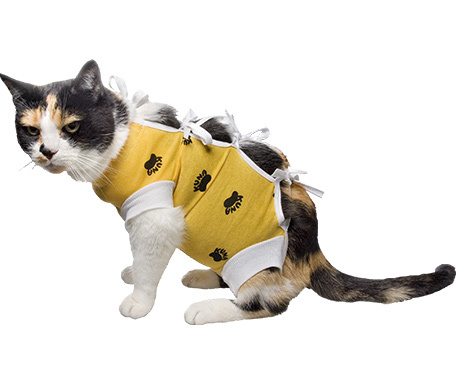 Post-operative dressings for dogs and cats are designed for professionals in the field of veterinary medicine. 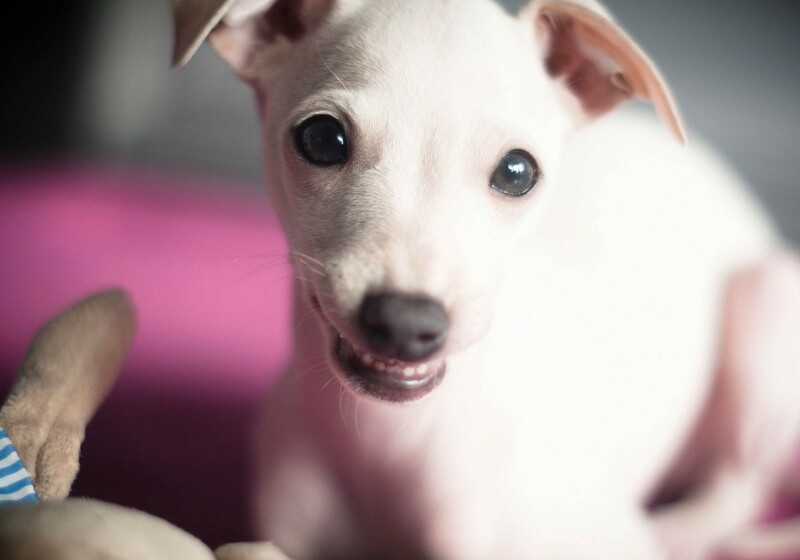 They protect abdominal wounds after a variety of surgeries including sterilization, pyometra surgery or breast cancer. They can also be used during dermatological treatment. The cat rips the stiches after surgery? 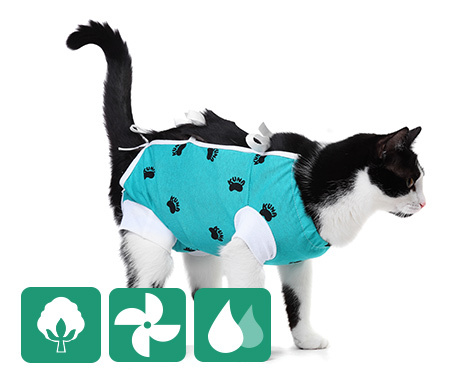 Postoperative dressings for dogs and cats protect wounded areas against dirt, scratching, and prevent animals from biting stiches or licking medicine from surgical areas. 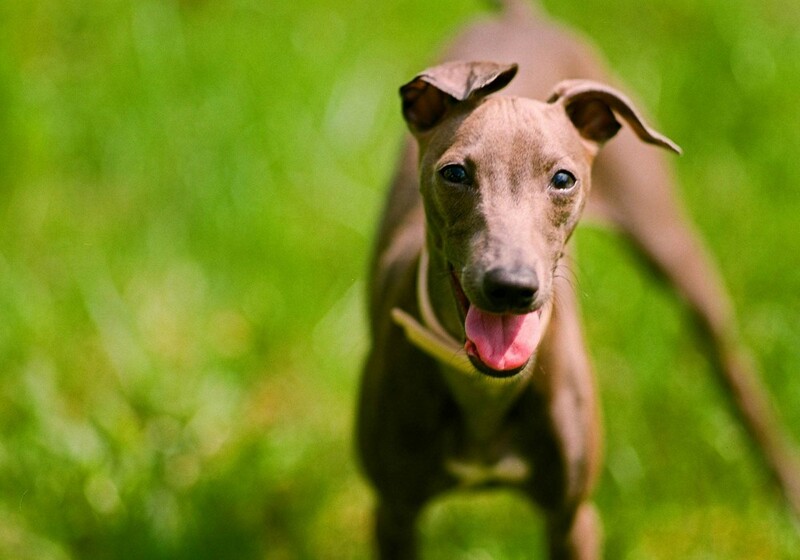 They accelerate healing and prevent postoperative complications. In addition, each dressing comes with an adhesive hygienic pad which may be used for diagnostic purposes. Postoperative dressing is the only product on the market whose individual components: body, cuffs, and ribbons are all made of pure cotton. 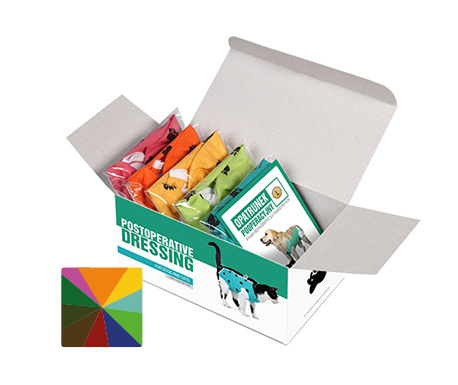 The use of natural, hypoallergenic materials makes the dressing healthy and safe for animals. 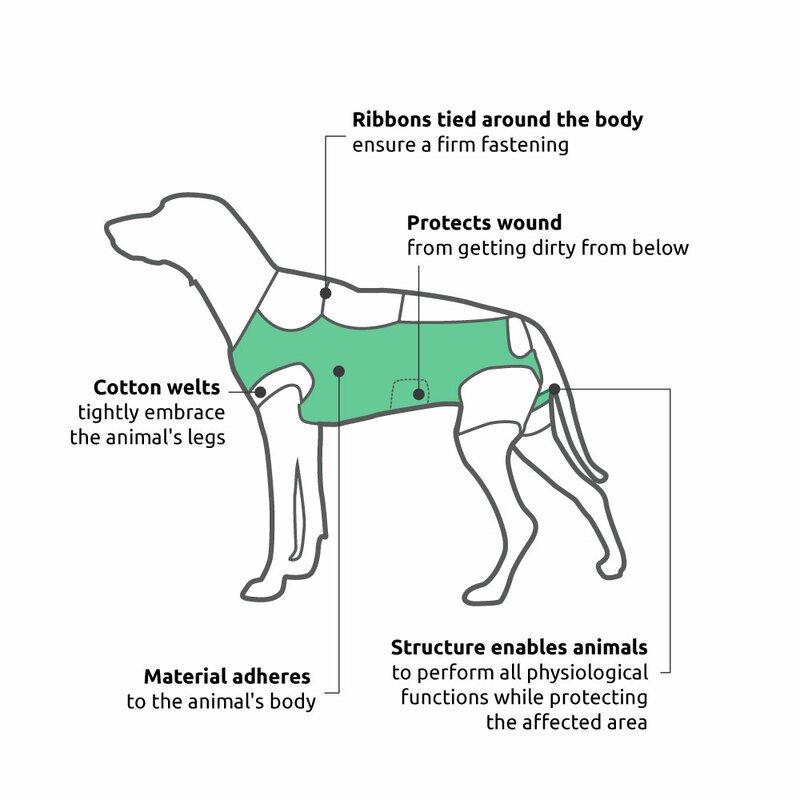 Postoperative dressings are made extremely carefully in 7 sizes using materials with different weaves, thicknesses, and shades. 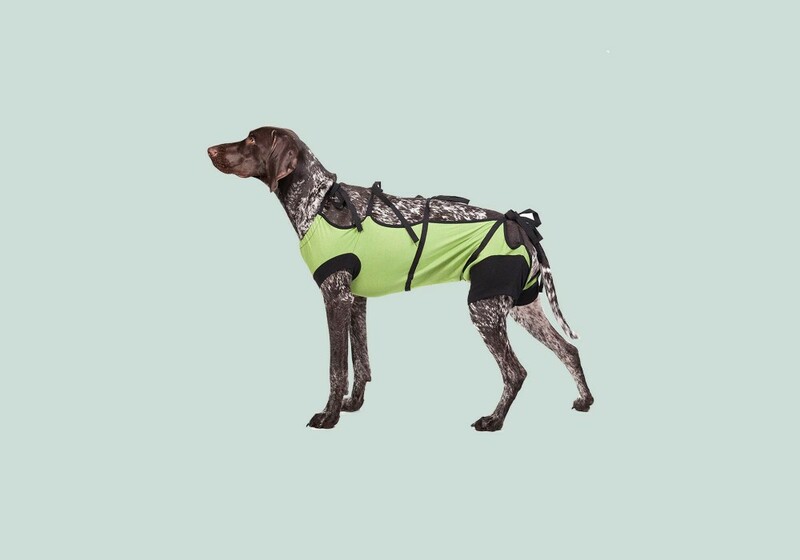 In addition to the standard ?veterinary green?, we offer a wide range of colors which help alleviate the stress associated with surgeries from owners of dogs and cats. 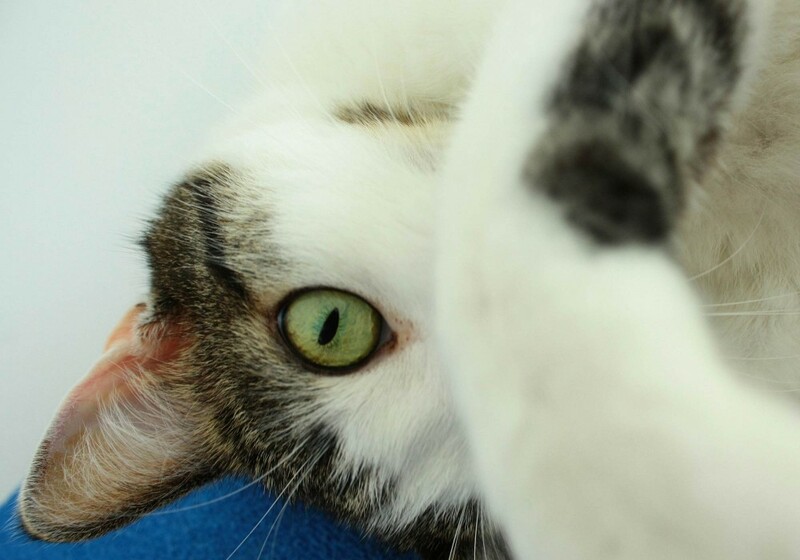 ... create a high quality design not only recognized by veterinarians. 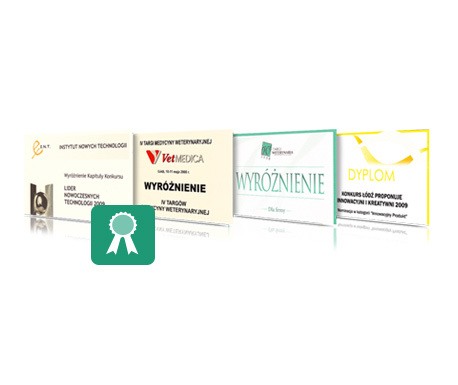 For inventing and introducing postoperative dressings the company KUNA was nominated in 2009 for the "Innovative Product" category at the prestigious ?Innovative and Creative? competition. Kuna has also been awareded the title of "Leader of New Technoligogies 2009" and has won several other awards and diplomes. Kuna is a manufacturing company that exists since 1990. In 2002, the company invented an innovative, niche product protected under the laws of the Patent Office Registration No. 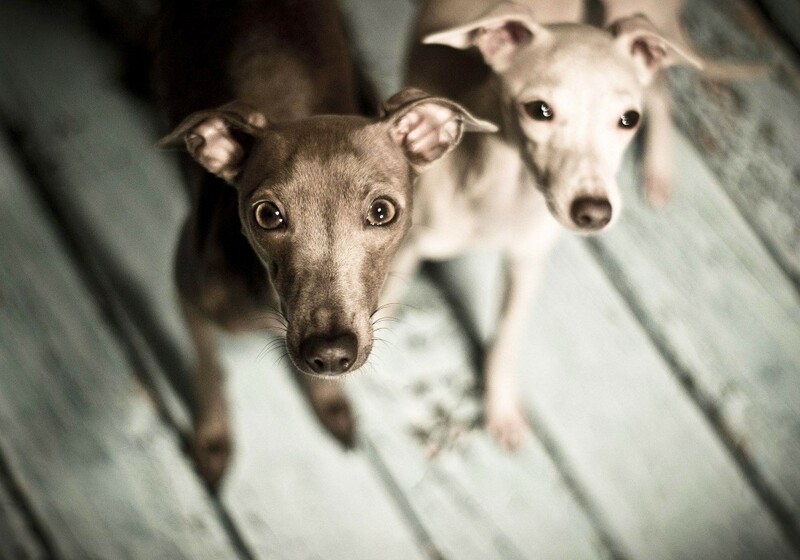 4786 and became the only Polish manufacturer of surgical dressings for dogs and cats.